In 2006, when I was working with the US Commercial Service, I was invited to a get together in Bombay’s tony Malabar Hill to meet US importers. The discussion was primarily about chickpeas for most of the evening, until Vinod Khanna walked in, close to midnight. At that time, in the mid-2000s, he was well past his prime; his best days as a star were behind him. He was into politics and represented the Bharatiya Janata Party. I’d quit active journalism a decade back, but continued to be in contact with some political leaders in Maharashtra, and got chatting with the star about them. He was affable, unassuming, and attentive. I called Mahrukh on my cellphone and requested Vinod Khanna to talk to her. She was dazed, half-asleep but delighted to talk to him. There was so much I wanted to ask him about his movies, tell him about his incredible range, share with him, but he lost interest and moved on to other guests. He loved the admiration he was getting at the party. Vinod Khanna was a star of the 1970s, a decade that belonged to Amitabh Bachchan. It’s often been said that had Vinod Khanna not turned a sanyasi and joined Bhagwan Rajneesh, he’d have eventually become # 1, displacing Amitabh Bachchan. I don’t buy that at all. In those days, as Jitendra has famously said, Amitabh Bachchan occupied all positions from 1 to 10, and the ranking for the rest began from 11. Shashi Kapoor, Vinod Khanna, and Shatrughan Sinha were all competing for the second spot, and Vinod Khanna’s exit created space for Shatrughan Sinha. 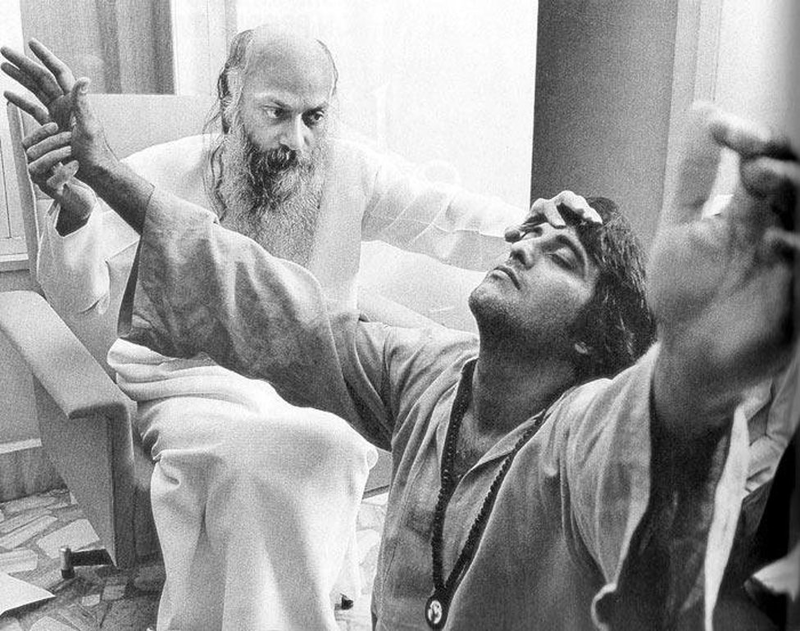 Vinod Khanna gave his best with Amitabh Bachchan. It’s perhaps to Amitabh Bachchan’s credit that every actor who has acted with him gave a superlative performance/s. Shashi Kapoor in Dewaar, Vinod Khanna in Hera Pheri, Dharmendra in Ram Balraam, Sanjeev Kumar in Trishul, Shatrughan Sinha in Kaala Pathar. According to news reports published after Vinod Khanna’s passing away, Amitabh Bachchan and Vinod Khanna worked together in ten movies, but it’s really only five films between 1976 and 1978 that really defined the team. These films were Hera Pheri (1976), Parvarish (1977), Amar Akbar Anthony (1977), Khoon Paasina (1977), Muqadaar Ka Sikandar (1978). Raj Khosla’s Mera Goan Mera Desh, 1971, the film that launched Vinod Khanna into stardom; Jabbar Singh came four years before Gabbar Singh, and while the latter was pure evil, Jabbar set the template for villainous characters for the next decade and more. Laxmi Chhaya’s vamp and Laxmikant Pyarelal’s music made the film special. (Aaya Aaya Atariya Pe Koi Chor, playback Lata Mangeshkar, music Laxmikant Pyarelal).